VFD is used to control RPM of a motor by varying its frequency. RCB is the first company in Pakistan to locally design and manufacture along with its testing. VFD has vast applications in different fields specially where there is requirement of controlling the RPM of motors. It helps in reduction of power costs and overhead costs. RCB is providing up to 3-years limited warranty through which it will replace a single damaged component free of cost. Its operating range is up to 45kW. These controllers are used to indicate the required Parameters of a process on its front LED. It also controls the required components of a process by transmitting its 4-20mA signals through three wire loops. RCB is the first company in Pakistan to locally design and manufacture controllers along with its testing. 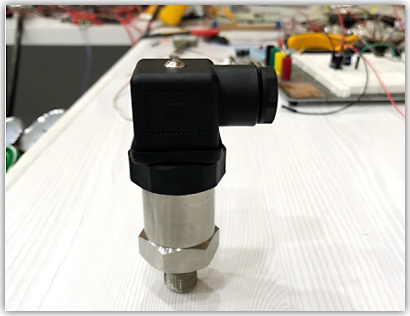 Pressure transmitter is used to indicate the pressure parameters of a process. It also controls the required components of a process by transmitting its 4-20mA signals. RCB is the first company in Pakistan to locally design and manufacture controllers along with its testing. It can also be used to check the levels of tank through pressure inside tank due to fluid height. Auto logger has the ability to record the overall data of a process and operates the process through its programmed data. It also controls the 4-20mA signals of components installed in a process and allows the component to operate and stop as per process requirement. 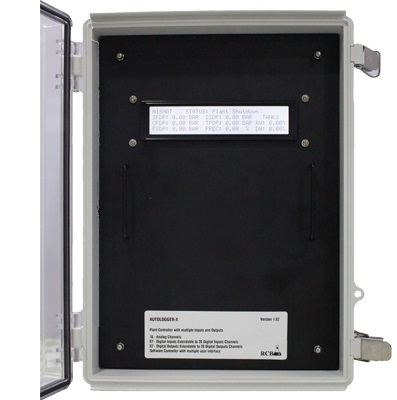 It has its front installed LED that shows all the data on itself and can share data through LAN system and exports it into required format for correspondence.